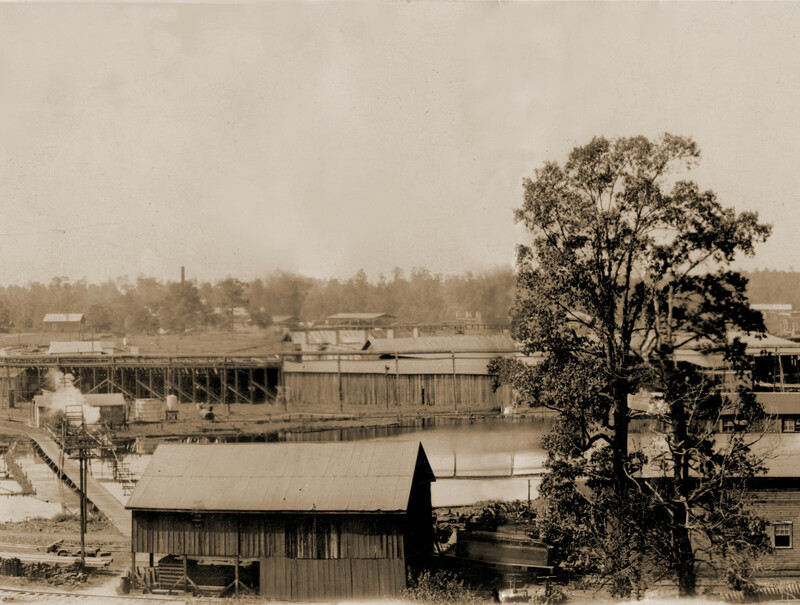 What became the Village of Fisher, Louisiana was built between 1899 and 1901 by the Louisiana Long Leaf Lumber Company, or 4L, as it was also known. 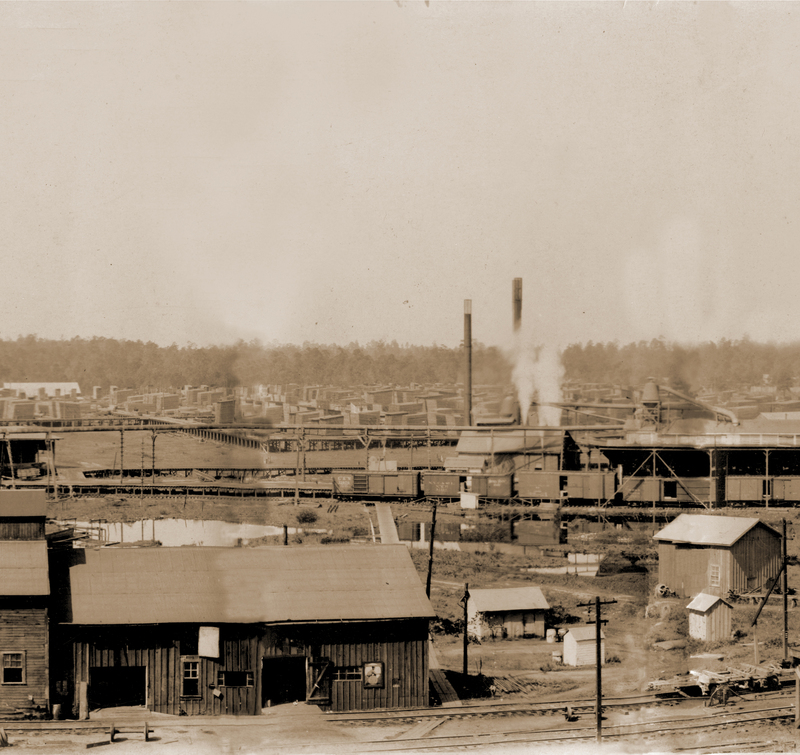 Fisher remained a company-owned sawmill town until it was sold to Boise Cascade Corporation in 1966. Fisher is located in Central Sabine Parish, between the Village of Florien and Town of Many, on Hwy. 171. 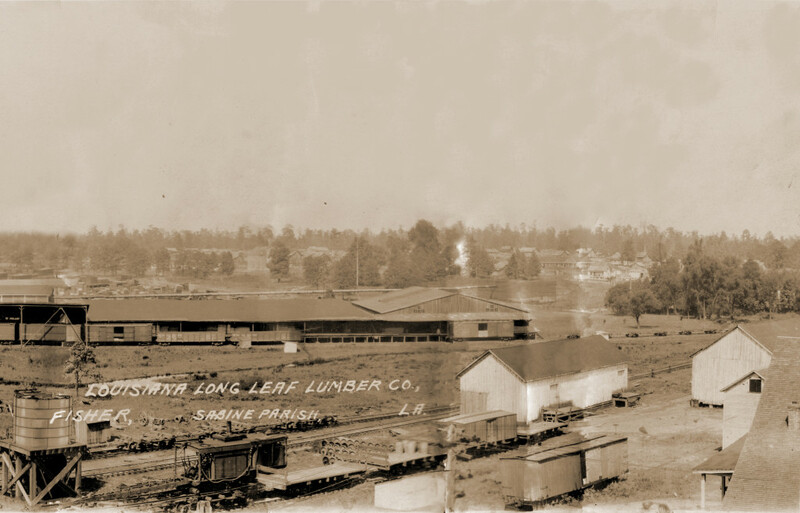 This panorama photograph was taken of the 4L mill in the early 1900s. 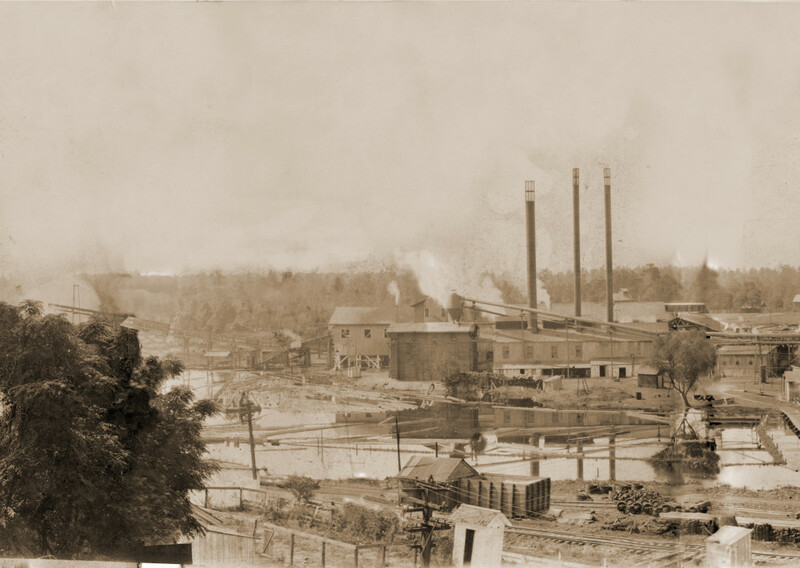 The subsequent photos here are closeups of sections of the larger pano photograph.